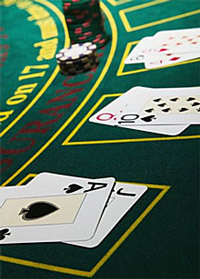 To learn more about the black jack counting systems of and more, read on. The Playing Efficiency, or PE shows whether counting systems can deal with gaming strategies well or not. This is especially vital in games that are hand-held and which include one to two decks. The Betting Correlation, or BC, refers to the correlation of card removal effects and point values. This is put to use in order to predict just how well counting systems can predict great situations of betting and can reach 100% correlation. This is especially vital for shoe games where six to eight decks are used. The Insurance Correlation, or IC, refers to the correlation of card values in insurance events and the point values of cards. 10s get -9 points while every other card gets +4 points for guesses whether insurance bets need to be made. The Strategy Level involves the amount of various values given to cards. Counting strategies of levels 2 to 3 happen to be more efficient, though harder for the majority of people, while levels 4 to 5 exist, too; they are considered overkill, though. Side Counts come with different methods to boost the efficiency of strategies.